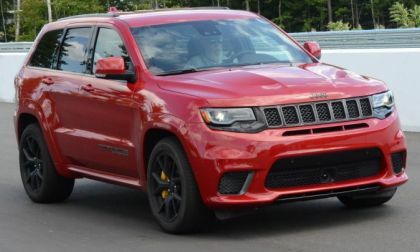 The Jeep Grand Cherokee Trackhawk is the first Hellcat Hemi-powered vehicle officially sold by FCA in Australia and, not surprisingly, the 707 horsepower SUV is already selling very well Down Under – with the limited Launch Edition models selling out in less than a month. 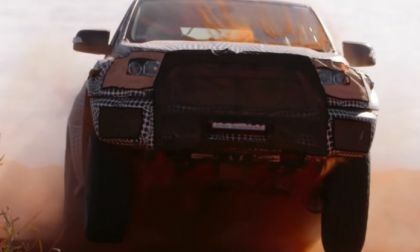 There is some question as to whether the next generation Ford Ranger Raptor will be offered in the United States, but with the Motor Company’s dominance of the American truck market – they need to offer the high performance variant of their new mid-sized pickup in the USA. 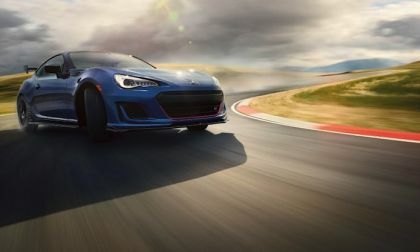 Here’s how the Toyota 86 sports coupe helped boost Subaru’s reliability rating. 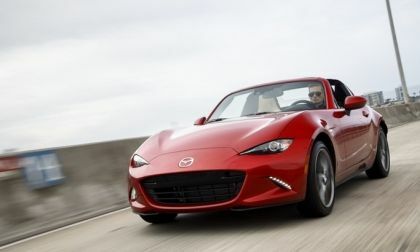 Surveys by owners of the Mazda Miata put it o the same list as the Corvette, 911, Model S, and Dodge Challenger. 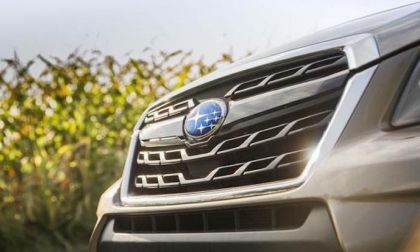 There’s more new-generation 2019 Subaru Forester rumors circulating. Subaru may not drop the 2.0-liter turbo just the XT badge. 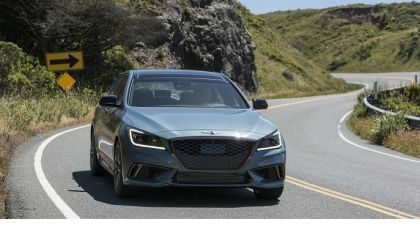 In 2017, Honda -Torque News drove and reviewed every offering in American Honda Motor’s lineup -- the most impressive car for 2018 has no engine. 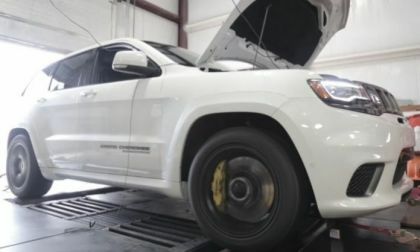 The folks at Hennessey Performance have gotten their hands on one of the first 2018 Jeep Grand Cherokee Trackhawk units to be delivered to a buyer and before adding big power, the crew put the supercharged SUV on the dyno for some baseline numbers – numbers which proved to be pretty impressive. 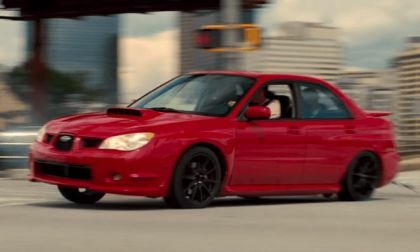 Ansel Elgort reveals how he wanted the Subaru WRX STI from the movie “Baby Driver” so bad he got it. 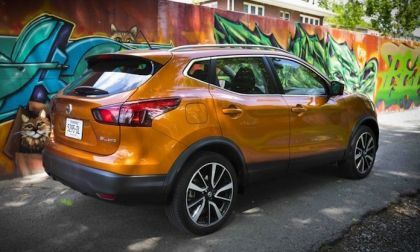 Don’t let the Rogue Sport nameplate fool you, the new Sport is an all-new vehicle from Nissan. 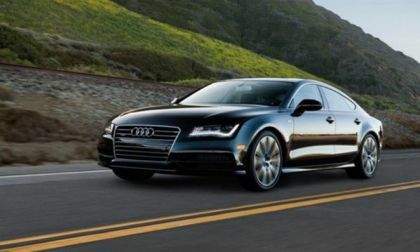 Audi has recalled nearly 49,000 2012-2014 A6 and A7 models to fix a fuel line problem. According to the automaker, the fuel lines in the affected vehicles are compressed at a point that could lead to their failure and a fuel leak. In turn, the fuel leak can pose a fire threat. 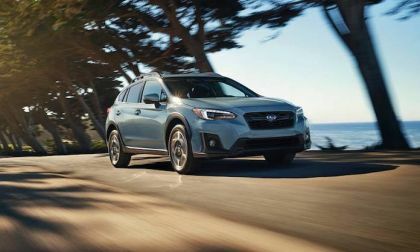 There’s no problem with Subaru models in the U.S. complying with fuel mileage rules according to the EPA. 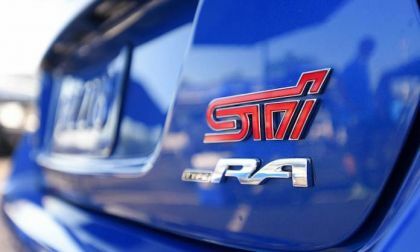 David Higgins helped develop the new 2018 Subaru WRX STI Type RA. He says it’s a full-blown racer. 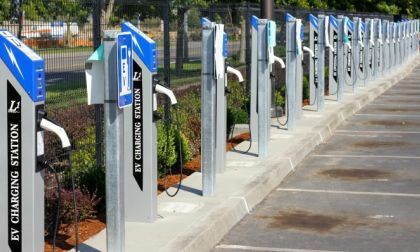 VW's subsidiary, the unit created as part of the settlement of the Dieselgate scandal, to not only drive an electric vehicle infrastructure but also choose locations, create the number of charing sites and wet numbers, has determined 2,700 vehicles are needed for EV infrastructure. 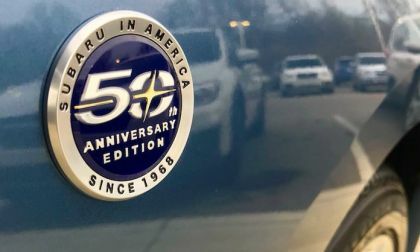 The 50th Anniversary Subaru models, Outback, Impreza and Legacy models are arriving now across the U.S. Check out the new Heritage Blue color. Do you have outdoor holiday plans? 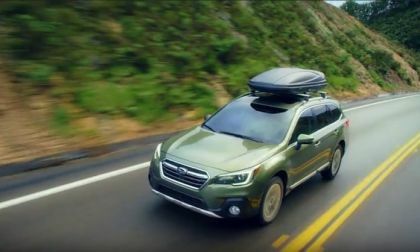 Check out these last minute Subaru Outback winter accessory ideas. 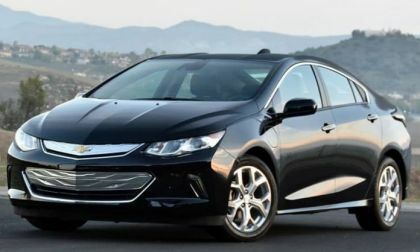 The 2018 Chevy Volt is receiving good praise from EV owners. Today I was reading one discussion at the GM Electric Vehicle Owners group on Facebook and read this opinion about the 2018 Chevy Volt from a group member Thomas Kahn, which I am presenting below. 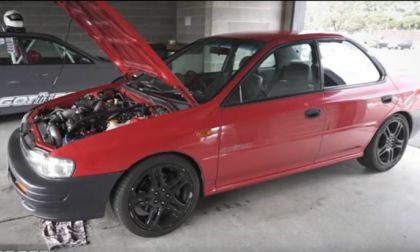 The guys at GotitRex know how to tune a Subaru Impreza EJ boxer engine, How about revving to 12,000 rpm? 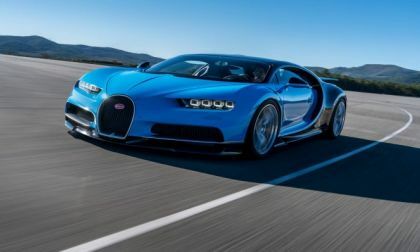 Bugatti has met its own ambitious production goals as it has turned out 70 Chiron hypercars in a bit over nine months. It has to stay on track with the numbers as it still has 230 customers who have paid up to $3 million for their supercars and may have to wait another two years for their turns. 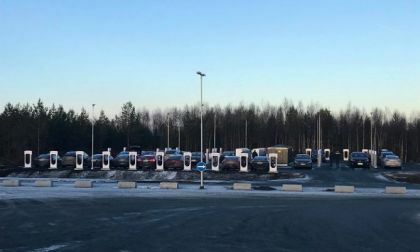 Norway is often in the news when it comes to Tesla and if you have not heard of Rygge, it's the city where Tesla has opened its largest Supercharger in Europe with 34 stalls. 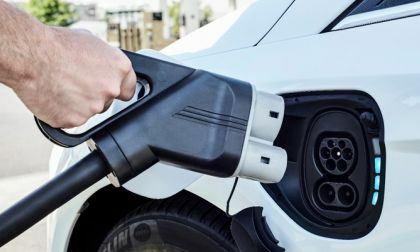 The new tax bill just signed by the President and crafted by the Republicans in Congress and the Senate retains electric vehicle tax benefits and other taxpayer-funded green initiatives. 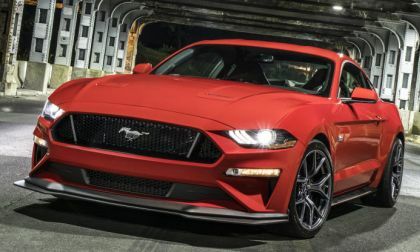 Ford Motor Company has issued a recall for more than 2,100 brand new 2018 Ford Mustangs with the new 10-speed automatic transmission over a concern that the premium gauge cluster might not communicate correctly with the shifter – leading to increased likelihood of a rollaway accident. 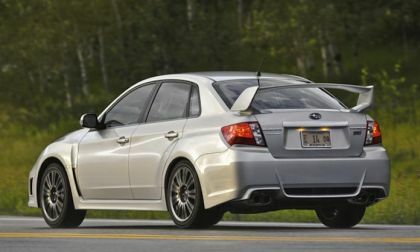 Subaru gets hit with a second lawsuit targeting the Subaru WRX and WRX STI 2.5L boxer claiming more engine failures. 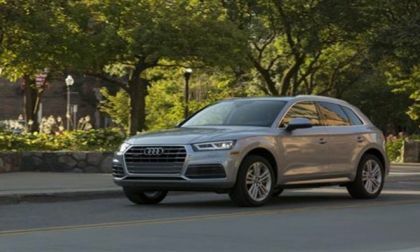 With the award of the National Highway Traffic Safety Administration's Top Safety Rating, Audi's Q5 and Q7 have received some new recognition that also boost Q5 into the automaker's most-awarded SUV. If a picture says 1000 words, what does a video tell us? 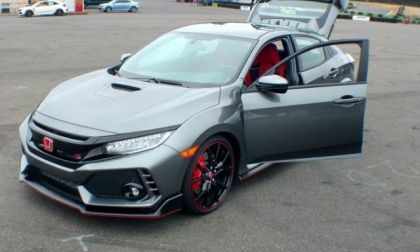 Acura takes the wraps off of the remake of my favorite personal driver, I couldn’t be happier. 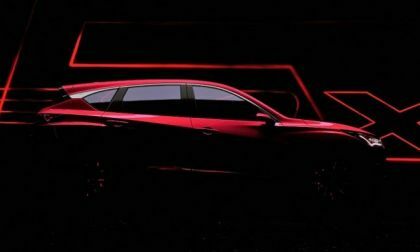 With an educated eye, what do we learn from Acura’s teaser? 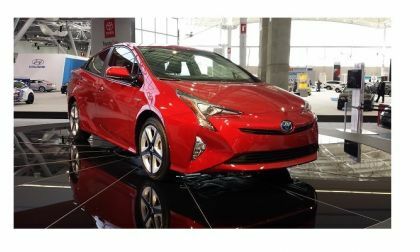 The Toyota Prius joins $100K near supercars and luxury models on a list of the top 10 most satisfying cars as rated by owners. 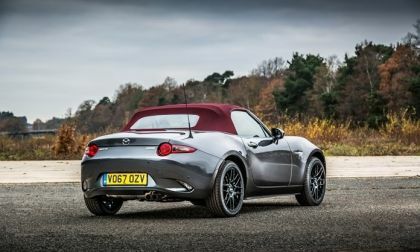 Mazda N. America Reverses Course - Will Offer Miata With Cherry Top in U.S.
A great new color soft top will soon be available to Mazda Miata buyers in the U.S.
Read more about Mazda N. America Reverses Course - Will Offer Miata With Cherry Top in U.S.
We try out the newest Genesis trim and give it two thumbs up. 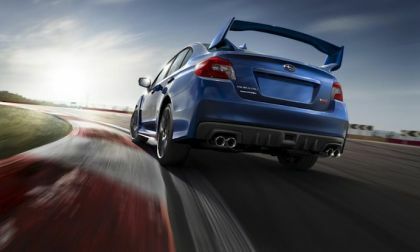 Subaru will give you $10,000 off the purchase price of a new 2018 WRX STI, there’s two criteria you have to meet. 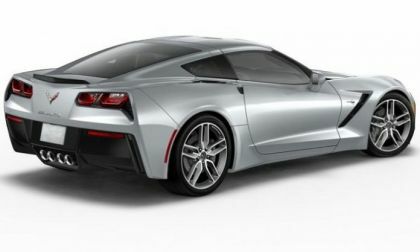 Is it just me, or does everyone feel Corvettes are becoming more and more refined?